"Room is spacious, clean sheets, friendly staff." Have a question for RB Lodge Kalibo? "Good location, near fast food chains and restaurants." "It is located in the center of of Kalibo and a walking distance to restaurants, pharmacies and the plaza." "An excellent place to stay if you want to enjoy the Ati-atihan festival." 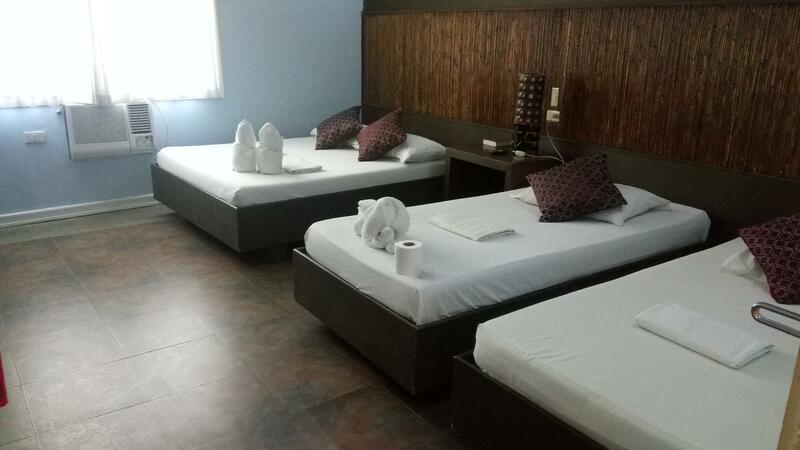 "Good and clean and close for everything and terminal going T..."
Offering quality accommodations in the sightseeing, beaches, culture district of Kalibo, RB Lodge Kalibo is a popular pick for both business and leisure travelers. From here, guests can enjoy easy access to all that the lively city has to offer. Also within easy reach are Museo it Akean, Kalibo Cathedral, Aklan Museum. 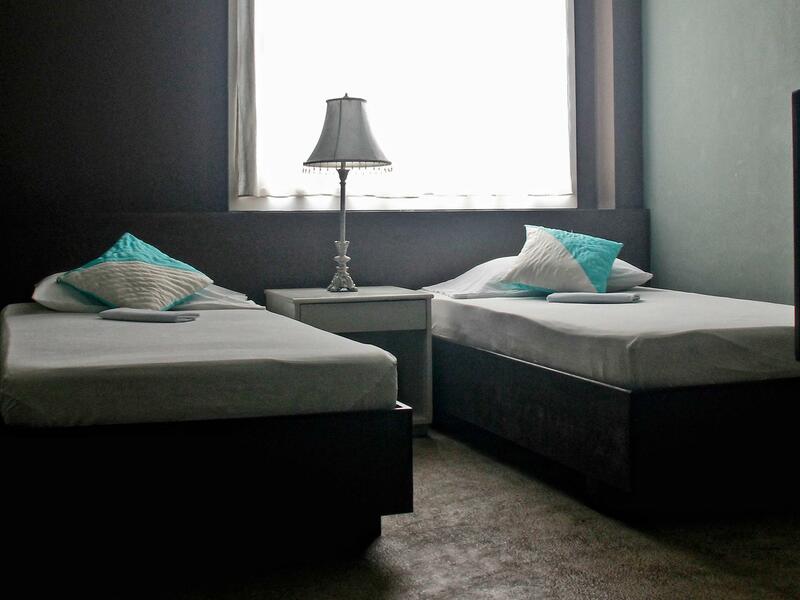 The facilities and services provided by RB Lodge Kalibo ensure a pleasant stay for guests. This hotel offers numerous on-site facilities to satisfy even the most discerning guest. All guest accommodations feature thoughtful amenities to ensure an unparalleled sense of comfort. Besides, the hotel's host of recreational offerings ensures you have plenty to do during your stay. Whatever your reason for visiting Kalibo, the RB Lodge Kalibo is the perfect venue for an exhilarating and exciting break away. "The staff of the hotel was very friendly." Good location but it was full of dust, and the restroom was never been cleaned at all! It was a nice stay. The lodge was so near the van terminal for Caticlan which we are heading to. I would recommend this hotel if you are staying overnight because you are traveling to Caticlan the next day.The price was just worth it. Good as stayed in new blick. It was clean and quiet near to 24 hours fast food restaurant. Basically very different from commercial city. Even though they have Internet cafes and lottery shops. The only bad thing was the blankets are tooo thin. But overall it was a great stay. My stay in RB Lodge was great. Check in & out was fast & convenient. The location is great since it is centrally located. Just a few minutes from airport and bus terminals to Caticlan. The rooms are really big . It's good for two but I think 4 persons can be accommodated. The bed is so clean and comfy plus there is a very fast wifi connection & cable tv. :) I love my stay! In case, I visit kalibo again, i would definitely stay here again. Accidentally booked a flight from Kalibo instead of Caticlan from Boracay so we needed a hotel in a pinch that was a good value and close to the airport. There were 4 adults in our party and we were accommodated in one room (which saved us money on a hotel to just sleep for a few hours). Note: When you get on a shuttle from Boracay, make sure you tell them the hotel name and they can drop you off there- just be sure it's not the cafe because there are 2 RB Lodge (this lodge is on the street after the cafe to the left). If you do miss it, the staff will be over to help you move your bags. The hotel is good sized, one queen and one twin bed. Basic amenities but for the price one cannot expect much. They offer a shuttle to the hotel for 200php. There are tricycles that drive by constantly and it is easy to get to fast food, church, and the Gaisano mall to pass the time. Not a bad place to stay when in Kalibo, especially in transit. You'll definitely get value for your money when you check in the RB Lodge in Kalibo as for a small amount you'll get a large room that has a large bathroom, good cable TV and good enough wifi. The staff was also very polite and helpful. They can do a little bit of cleaning the dust in the corners. We have been well taken cared of by the staff of the hotel, he has given us the best room and the location of the hotel is very convenient. It is near the highway where you can wait for the Ceres bus going to Caticlan. You can also visit the Cathedral by foot as well as the Kalibo Park as well as eat at Jollibee, Mang Inasal and other restaurants. If you want an affordable, convenient, nice, spacious and clean place to stay you have to choose RB Lodge Kalibo. Get what you get for a cheap bed to sleep in! We stayed here in transit between Boracay & Cebu. There's not a great deal to do in town, but this accommodation was basic but clean, no air conditioning though. The coffee shop downstairs was lovely & breakfast could be pre-ordered for PHP100. We had a pleasant and cozy stay here. We loved eating breakfast by the garden. There was free wifi. Most of the personnel were very helpful. They accommodated our request for a meat free breakfast since we were there on a Friday of Lent. They also facilitated our rides to the different places we wanted to go to in and around Kalibo. But they can improve more in customer service -- knowing the schedule of Masses at the Cathedral, promptness in giving feedback to requests made by the guests. The room was a twin fan room with shared bathroom. The room was bare basics. Concrete floors and dirty walls. Huge trail of ants through the room. Tv, not that we turned it on. Fan was kept us cool. Rooster outside the window was pretty vocal but nothing too distracting. Both male and female shared bathroom that could both do with a really good clean. We avoided a shower there. Toilet and sink were bearable. Pretty centrally located in Kalibo, just off the main road and less than 10 minute tricycle to the airport. Bottom line- it was cheap. We wouldn't stay here again, but then again we'll avoid staying in Kalibo altogether in the future.